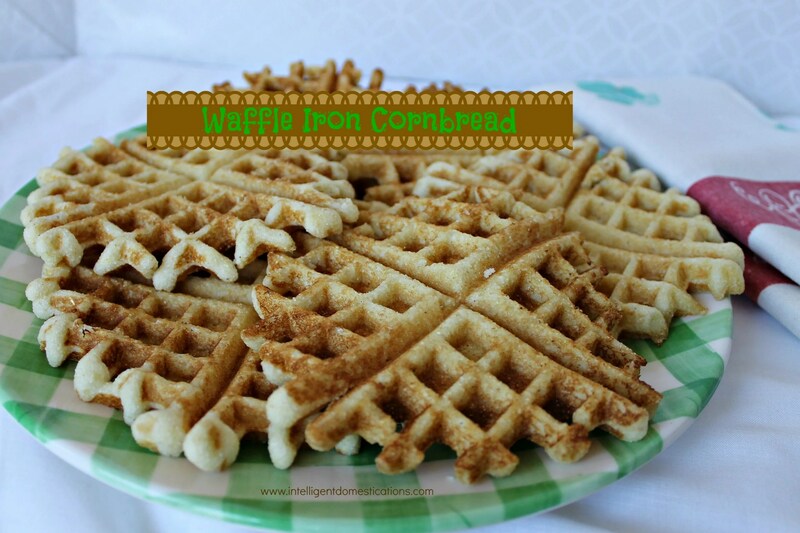 Have you tasted the goodness which is Waffle Iron Corn Bread? 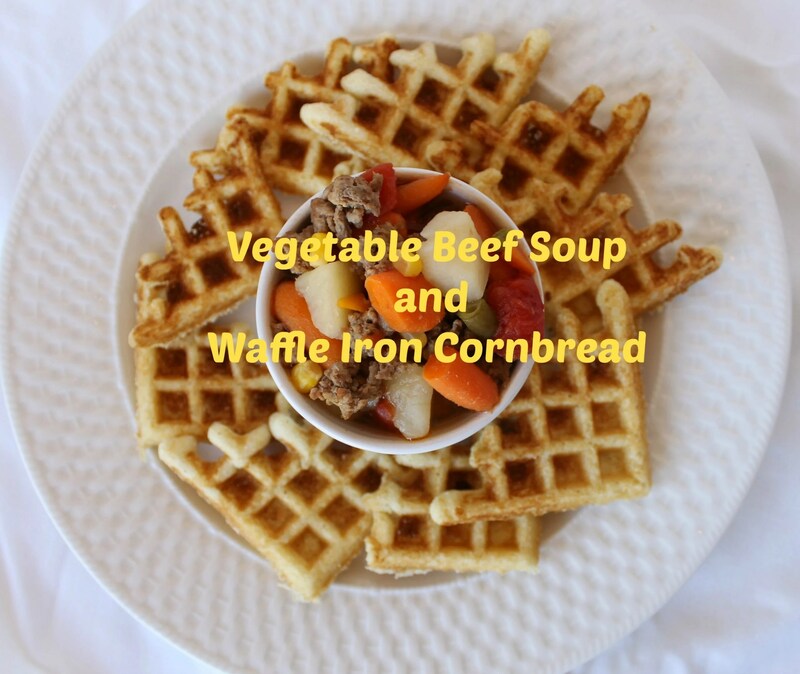 There is no big secret involved, simply use your waffle iron to make your cornbread rather than bake it in the oven. It is fun to eat! It makes an attractive plate too! It’s so easy. My waffle iron doesn’t get much use, I rarely ever make waffles unless the grandchildren are spending the night. Just heat up your waffle iron as usual. Spray the cook surface with non-stick spray, pour a small amount of batter into the center of the waffle iron and close the lid. I purposefully made my waffle iron corn bread small by not pouring too much batter. I wanted thin crispy corn bread. You could make yours full size if you like. I broke the pieces in the creases for serving. No crumbs falling all over the place! You can still break the little triangles into small pieces for those who like to put cornbread right into their bowl of soup. You can find a free printable of my cornbread recipe right over here. Do you use an appliance for more than it’s one original purpose? Please tell us about it! I love this idea! I should use my waffle iron more often! I love cornbread!! These are so cute and look delish. Can’t wait to try this! This is perfect. I was just thinking about making cornbread tonight and I will give this a try. My waffle iron is already out. Fabulous! Now maybe I’ll actually break out that old waffle iron 🙂 Thank you for the inspiration! I never heard of this before – such a smart idea! I know my hubby would love to try this, and we do have a waffle iron. Alrighty! It’s great to be able to use a small kitchen appliance for more than one thing! I think y’all will really enjoy your cornbread cooked in the waffle iron. Dang! I hate I donated my waffle iron one day when I was on a spring cleaning spree! 🙂 My husband would love this because he doesn’t like thick cornbread. I usually make him hoecakes on top of the stove, but this looks amazing! Alli, my waffle iron isn’t used twice a year. We like thin cornbread too. The cornbread has a nice flavor cooked in the waffle iron, don’t know why but it does! It’s really tasty!